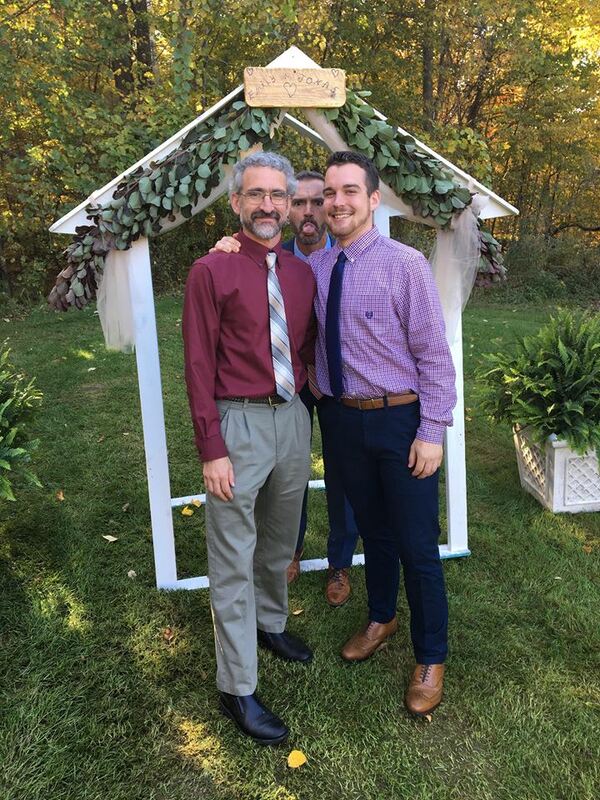 Ben Etzell’s college baseball career ended a few days earlier than expected. The Coupeville grad and his Saint John’s University teammates were unexpectedly snubbed Sunday night by the committee picking the 58-team field for the NCAA D-III tournament. While the Johnnies fell in the Minnesota Intercollegiate Athletic Conference postseason tourney to Bethel, which kept them from nabbing an automatic bid, they were expected to get an at-large spot. Saint John’s piled up a school-record number of wins this season, going 33-8. Five of those losses were by just a single run, and the Johnnies overcame terrible Minnesota weather which compressed their schedule, forcing them to play multiple doubleheaders in the final two weeks. SJU rallied, winning the regular season MIAC title by two games over Bethel, its 14th overall and first outright title since 1994. 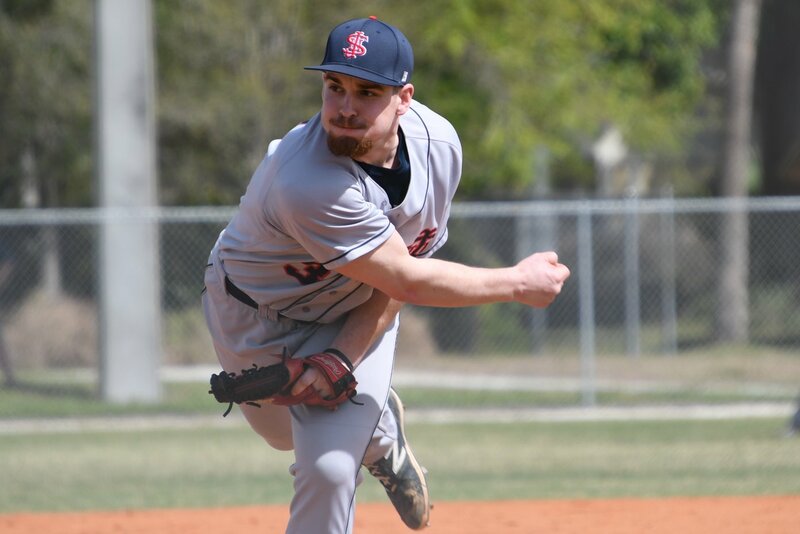 The Johnnies then split four games at the postseason tourney, with Etzell’s final performance being three innings of no-hit ball against Bethel May 12. It was his 50th appearance as a college hurler. Etzell finished his senior season with a 2-2 record, notching a save as he compiled a 1.56 ERA and 14 strikeouts in 13 appearances. He tied fellow pitcher Jake Dickmeyer for the team lead in games, and had the lowest ERA of any Johnnie with more than five appearances. For his career, Etzell, who started college as a starting pitcher before morphing into a relief ace, went 10-4 with eight saves. He threw 110.1 innings in 50 appearances, held foes to a .266 batting average, and finished with 90 K’s. During Etzell’s four-year run, SJU went 116-51 (.695) overall, 55-23 (.705) in league play. High, hard cheese to the end!! Coupeville grad Ben Etzell tossed three innings of scoreless, no-hit relief Saturday, picking up his 10th win as a college pitcher. 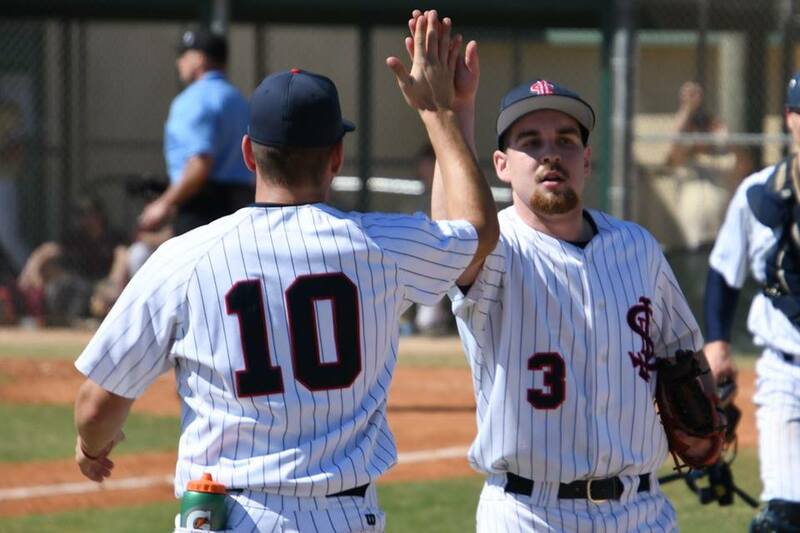 With the former Wolf keeping his squad afloat in a scoreless game, Saint John’s University rallied to win its 13th straight baseball game, knocking off St. Olaf 3-0 on a walk-off home run from center-fielder Max Jackson. And while the Johnnies had their streak snapped in the nightcap to a doubleheader (they fell 10-3), SJU sits at 29-6 heading into the final day of the regular season. Saint John’s, which is 14-4 in the Minnesota Intercollegiate Athletic Conference, plays another doubleheader Sunday, this one against St. Thomas. Win one of the two games and the Johnnies clinch a share of their first regular-season title since 1998 and earn a bye in next week’s league tourney. Etzell, who will be honored during Senior Day Sunday, came on in relief of starter Joey Stock with the game scoreless after six. He whiffed a pair of batters while refusing to give up a hit, and the win evened his season mark at 2-2, while dropping his ERA to a sizzlin’ 1.88. For his career, Etzell, who began college as a starter before morphing into a relief ace, is 10-4 with eight saves in 49 games. During his time in Coupeville, he was a three-sport star, going to state as a tennis player and being named the 1A/2A Cascade Conference MVP in baseball after his senior campaign. Want the door slammed? Call Ben. 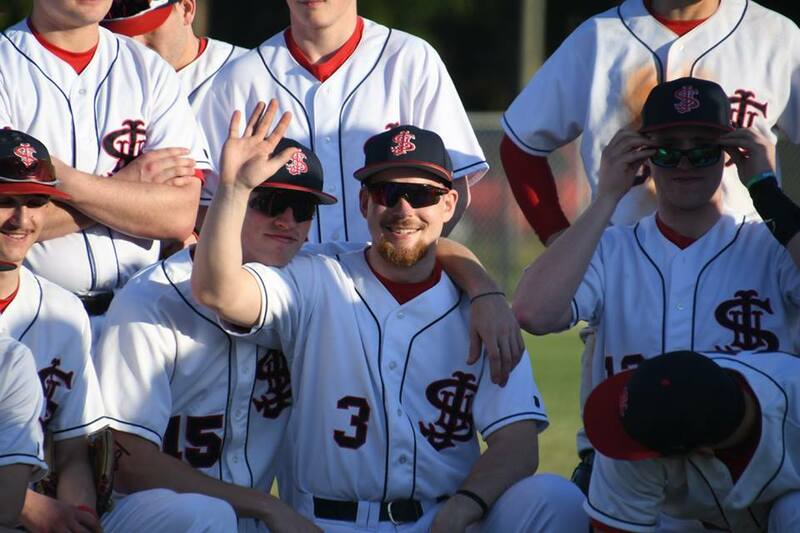 The Saint John’s University baseball team is soaring, and the Johnnies handed the ball to Coupeville grad Ben Etzell when it mattered most Thursday afternoon. Pitching a scoreless seventh inning, he notched his first save of the season and sealed the deal on a 3-2 win over host Saint Mary’s. After starting the frame with a pair of fly outs, Etzell gave up a single, but then came back to end the game on an exclamation point, whiffing the final batter. The victory, Saint John’s 12th straight, lifts SJU to 28-5 as it makes a run towards the postseason. The Johnnies have a pair of weekend doubleheaders left, facing St. Olaf College Saturday and the University of Saint Thomas Sunday. After that comes the Minnesota Intercollegiate Athletic Conference tourney May 10-13, where SJU will vie for a berth in the NCAA D-III tourney. Etzell, a senior, has pitched in 11 games this season, going 1-2 while posting a 2.38 ERA. He has 11 strikeouts and has surrendered just three runs across 11.1 innings. For his career, the former Wolf is 9-4 with eight saves and 87 whiffs. Better weather, same Big Ben!! With the snow receding, they’re rolling once again. 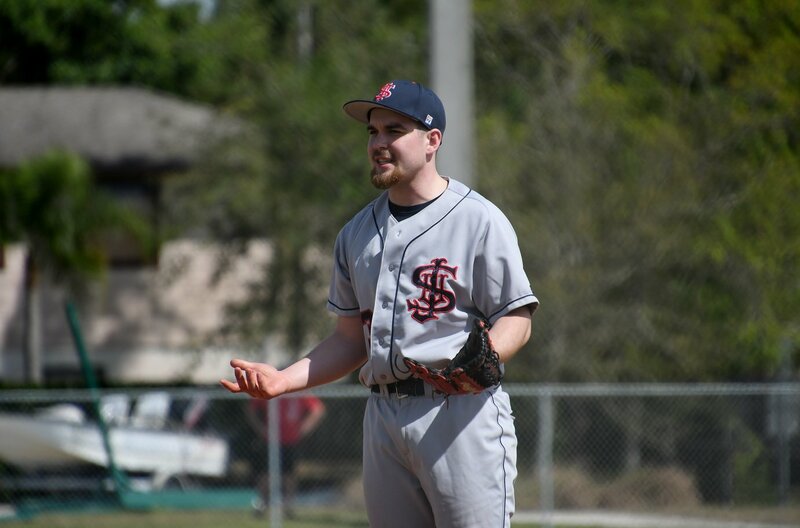 Saint John’s University baseball, and former Coupeville diamond star Ben Etzell, were slowed by the non-stop white stuff which hammered Minnesota. After starting the season in Florida and Arizona, once the Johnnies returned home they found nothing but games being backed up, and then backed up some more. That has begun to change, and SJU is once again playing, running its record to 19-5 after a doubleheader sweep Monday of Hamline University. Etzell, a senior, tossed a perfect inning, including a pair of strike-outs, to slam the door in the nightcap, a 6-1 win. He’s tied for the team lead among pitchers with seven appearances and is 1-2 with a 2.35 ERA this season. For his career, Etzell is 9-4 with seven saves and he crossed the 100-inning barrier against Hamline. He has 84 K’s in 100.2 innings all-time. Saint John’s has 13 regular-season games left on its schedule and will be playing a ton of doubleheaders over the next two weeks. The league tourney is scheduled for May 10-13. Big Ben brings the heat!! The weather was warm, but the pitching was hotter. 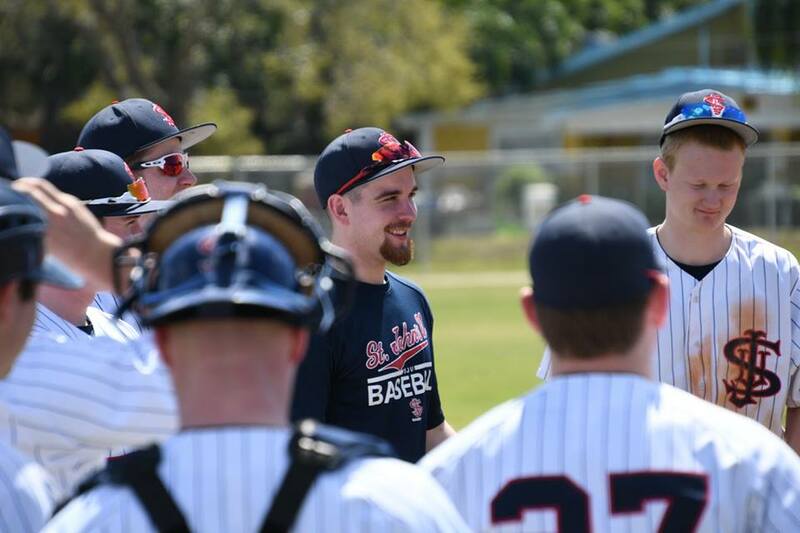 Sparked by Coupeville grad Ben Etzell, the Saint John’s University baseball squad successfully capped a four-day trip to Tucson, Arizona, and now head back to Minnesota boasting a red-hot 14-2 record. The Johnnies went 6-1 on their Arizona trip, including a 16-7 win Tuesday over Buena Vista (Iowa). Etzell, a senior, came on to pitch a 1-2-3 ninth inning to put a final, definitive stamp on Saint John’s warm weather jaunts. As they wait for things to un-thaw back home, the Johnnies kicked off the season with a nine-game stand in Florida, then hit Arizona. They’ll play for the first time in their home state Mar. 30, when the league season begins. While SJU has been beatin’ the crud out of the ball, it has also been getting solid work from a deep pitching staff. As he heads down the stretch run of his collegiate career, Etzell currently sits at 1-1 with a 1.93 ERA in four games this season. That ties him for the team lead in appearances among pitchers. He’s tossed 4.2 innings, surrendered just one hit and struck out six. For his career, Etzell is 9-3 with seven saves over 41 appearances, which includes nine starts before the Johnnies made him their bullpen closer. In 97.2 collegiate innings the former Cascade Conference MVP has struck out 82 hitters.